A comfy casual look – and getting in shape! To be completely honest with you, most days I like to wear something comfy. Say what!? I know, I know, it deceiving. My blog inspiration is geared more towards what id wear for a girls night out. I want to try and incorporate more of what id wear on a regular basis. For instance, Hunter Boots and piko tops. Every girl needs these two items. So comfy. The best thing about piko tops is how they transition so well from fall to winter, and winter to spring. I love mine from Abella Boutique and wanted to demonstrate how easily they transition to spring. I just tucked the very top into my pastel colored stretch denim, and VIOLA. Spring here I come! On a completely unrelated note. 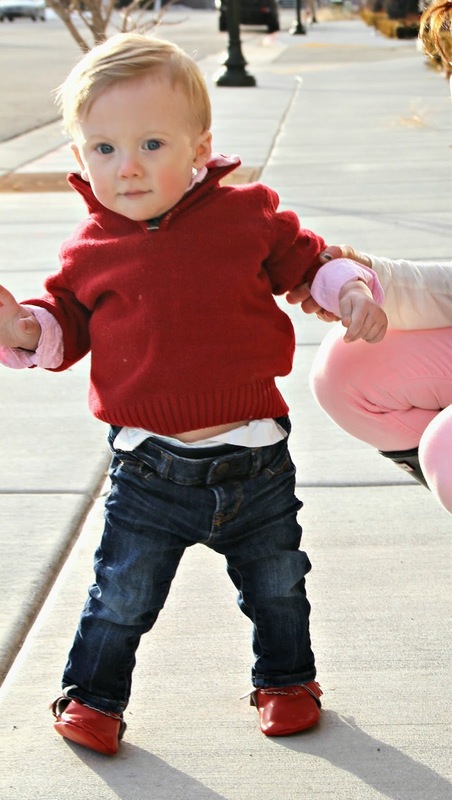 How cute is my little man Beckham? That last picture with his little smirk, and belly poking out. I die!! Now its time for the embarrassing part of this blog post. Before I start, I wanted to share with you a little story about myself. I also want to express to each and every person who reads this, that I honestly believe that every woman is beautiful, and should love and take care of her body. With that being said… here I go! Growing up in California I was always very active. I was in cheerleading, track and field, swim team. I was always very tone and naturally petite. When I turned 17, I moved to Utah with my mom and stopped doing sports. After I graduated I got my first desk job. You know how it goes with jobs like that. I would get bored and snack ALL. DAY. LONG!! You guys, I gained 25 lbs in two years! 25 POUNDS!!! I was never one to even worry about weight gain, in fact I don’t even think I realized how bad it had gotten until I looked back at pictures. haha Once I left that job, I started to eat healthier and became active again. It really wasn’t that hard for me to lose it, considering all I needed to do was NOT eat chips and dip all day. Skyler and I got engaged and that gave me the extra motivation I needed to get back in shape for the wedding. Anyway, after I had my c section with Beckham, my body was just not the same. The way they had to cut me open to get him out, really messed up my stomach. I would go to the gym and try to work out my stomach, and my muscles would start shaking and I couldn’t even do a single sit up. Years and years of muscle, gone! It was disheartening. I had this shelf over my incision I could not get rid of. Even at 25 pounds heavier, I never had this problem. I lacked the extra motivation to get in shape, so eventually I gave up. I figured id have this “kangaroo pouch” as I liked to call it, forever. I was fine with that. It all came to be, because I brought children into this world, and how could I be upset about that? Fast forward a few months, when the sweetest girl wrote me on my blog facebook. Her name is McKell and she works for “It Works” body wraps. She asked if she could wrap me, in exchange for me featuring my results on the blog. I was so excited to try it, because lets face it, every girl has a problem area! For those of you who don’t know what “It Works Wraps” are, here is a little information. 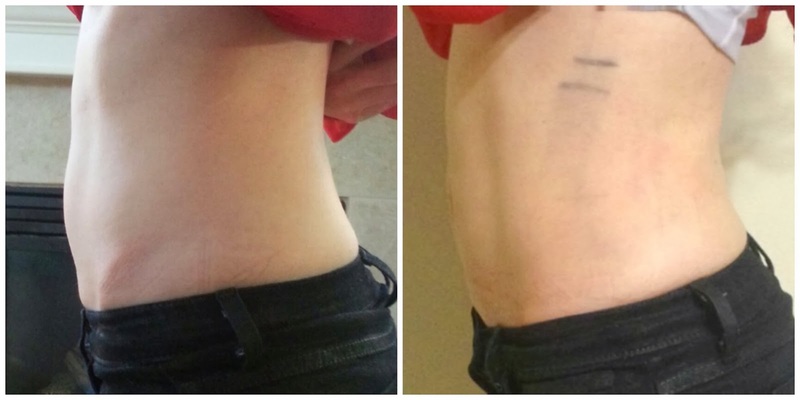 These wraps are a non-woven cloth wrap that has been infused with a powerful, botanically-based formula to deliver maximum tightening, toning, and firming results where applied to the skin. Next Post My Little Valentines…..
Uhhh totally wish I was wearing that! Love everything about this look. The necklace is adorable. I love my Piko tops and I think I should invest in some Hunter boots. It rains so much here in FL! Also, your son looks adorable in his outfit. I wish I could get my husband to like the moccs but he's just not into them. Darling! I love the pink jeans:)! The red lip is also beautiful! Love this look! The colors are so soft and pretty! 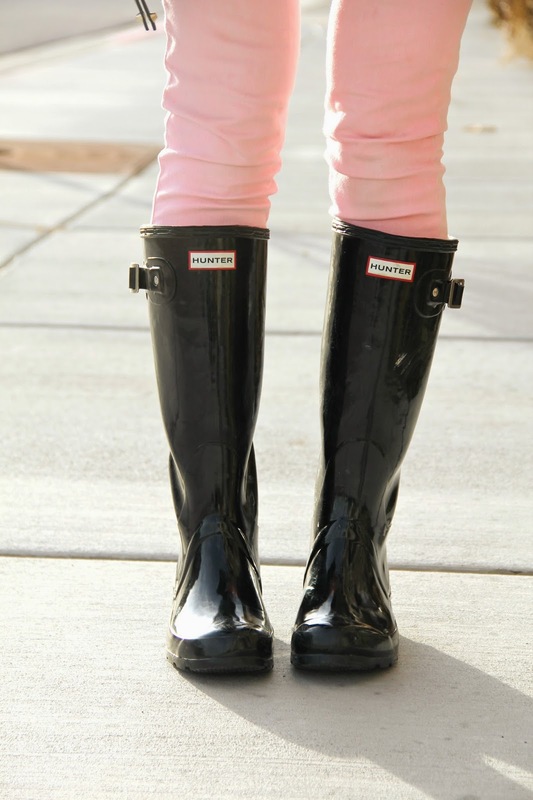 I wear my Hunter Wellies a lot whatever the weather and often slip them on for work as the go quite well with my business suit or meeting my friends on a fine day and seeing you with your Wellies on makes me very happy you look really yummy.